ROME, Italy - Just because Serena Williams is off the tour at the moment, it doesn’t mean we can’t keep celebrating her - and today is a big day for the queen of tennis, as it’s the 15th anniversary of her winning the first clay court title of her career at the Internazionali BNL d’Italia in Rome in 2002. Though she was obviously already one of the best players in the world, going into Rome that year Serena’s 13 career titles had all come on hardcourts - including her first major at the 1999 US Open. But she changed everything in the Italian capital that week, capping the week with back-to-back-to-back wins over Anastasia Myskina, Jennifer Capriati and Justine Henin - all three of whom had or would win the French Open at some point in their careers - in the quarterfinals, semifinals and final. 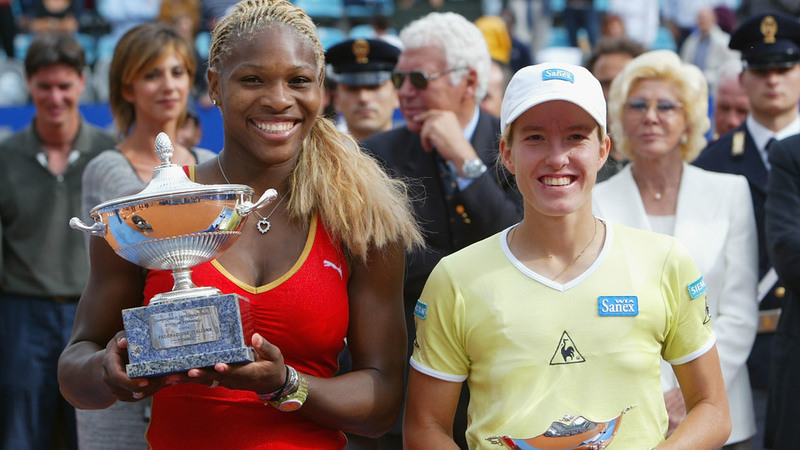 She edged Henin in two tight sets in the final, 7-6(6) 6-4, exactly 15 years ago on May 19, 2002. Serena would, of course, go on to win Roland Garros a few weeks later - the first of four straight majors she’d dub ‘The Serena Slam’. And she’d win two more French Opens in 2013 and 2015. WATCH THE ACTION UNFOLD ON THE ROAD TO ROLAND GARROS ON TENNIS CHANNEL HERE. Then starting May 22, watch Roland Garros on Tennis Channel and Tennis Channel Plus by downloading our Tennis Channel Everywhere App.